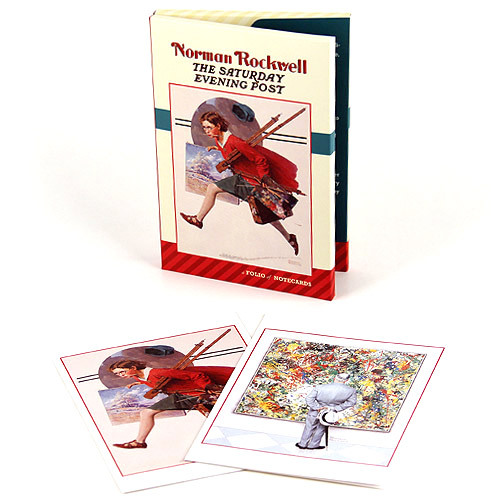 Norman Rockwell The Saturday Evening Post: a Foloio of Notecards contains 10 blank note cards (5 each of 2 designs) and 10 envelopes. Standard greeting card size, measuring 5"x7" each. Published by Pomegranate using soy-based inks on recycled paper. Includes The Connoisseur (1962) and Wet Paint (1930).